Discover opportunities for your business as microgrids become a critical component of modern energy. The Microgrid Knowledge Newsletter comes out twice each week. It’s mobile friendly and edited to give you access to the best original content regarding microgrid adoption. Let our seasoned reporters do the digging for you — for free. Subscribe to our free Microgrid Knowledge Newsletter, edited by seasoned energy journalist Elisa Wood. Get an inside look at how microgrids are changing the energy equation for businesses, colleges, communities, critical facilities and others worldwide. Have the latest on microgrid policies, opportunities and trends sent directly to your desktop, tablet or smart phone. Sign up and get a free copy of the Microgrid Knowledge Market Survey. 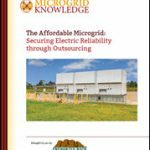 Subscribe to Microgrid Knowledge today!